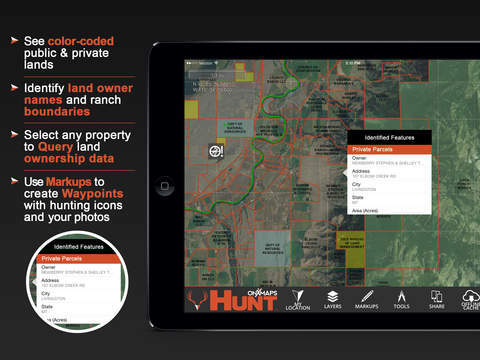 Use the HUNT App combined with the GPS on your iPhone or iPad to easily view land owner names while knowing your location relative to public and private property boundaries, hunting unit boundaries, and more! 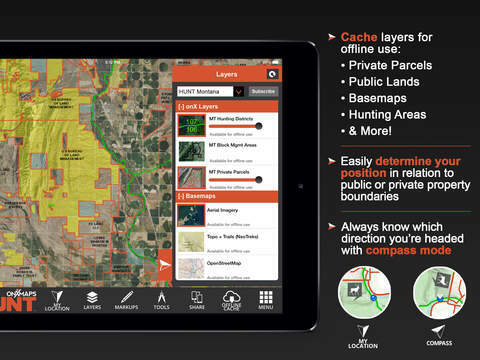 Cache satellite aerial imagery and topo basemaps for offline use. 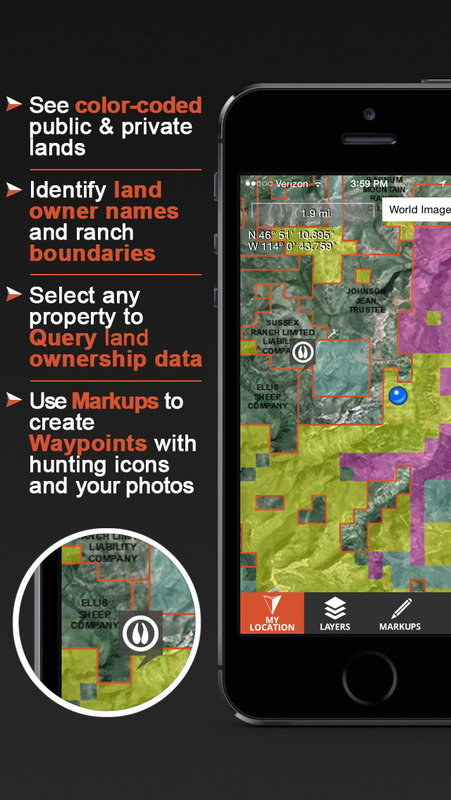 Create photo waypoints, use our custom HUNT markups, and more! 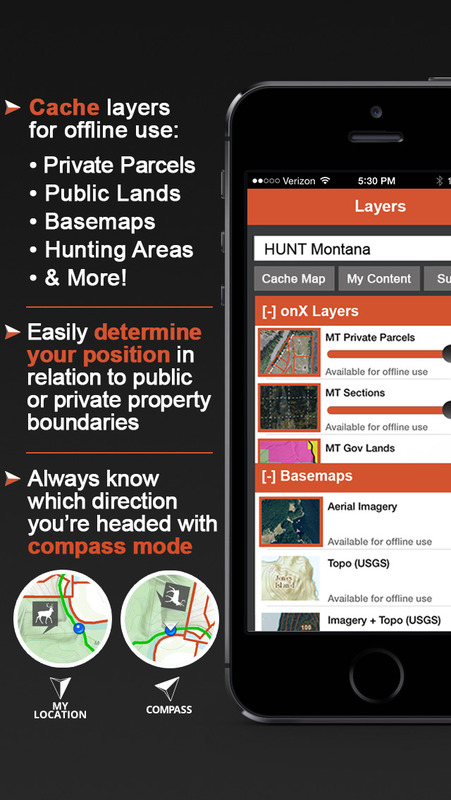 From the makers of Hunting GPS Maps (now HUNT by onXmaps), have the confidence that you are using the most accurate, up-to-date, reliable and most trusted land ownership maps available! – Mark Waypoints using a photo you’ve taken to easily document the locations of scrapes and rubs, wallows, game sightings, food sources, bedding areas, etc. 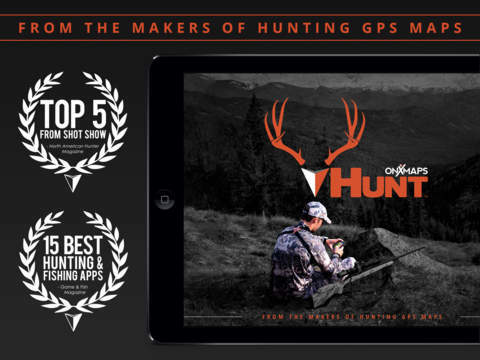 Bring this data back home to your iPad or computer to help you learn your hunting area much faster! 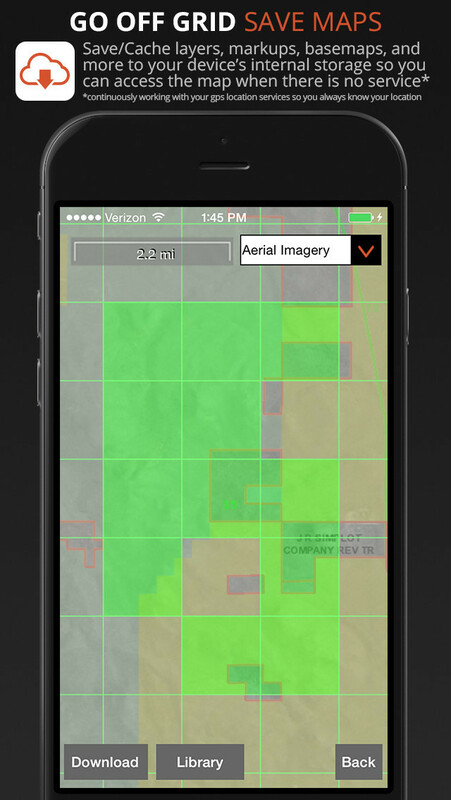 – Caching land ownership, other layers, and select Basemaps for use when you are out of cell phone coverage. * Private land ownership information may not be available for all counties. Please see the plat coverage map on our website. 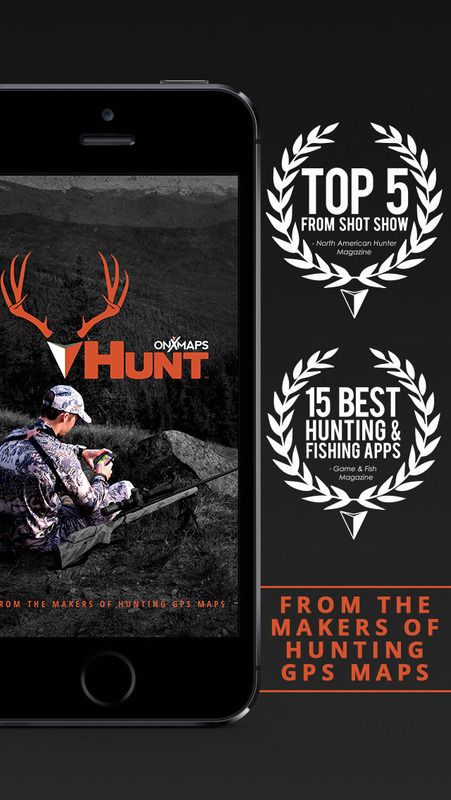 You can try our full featured map Membership for 7 days ( the HUNT App will automatically start a free for the state you are in when you install the app). 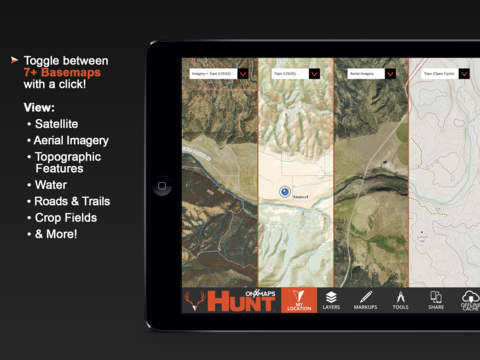 The HUNT App uses the GPS built into your iPhone or iPad to display your location on the map. Cellular network coverage is NOT needed to use this app and the GPS functionality. Proprietary tile caching technology allows you to cache basemaps and all other key map layers for use when you are away from cellular network coverage. As land ownership, GMUs, and other map data change we will update the map data on our servers. This new map data will automatically be loaded to the HUNT App without you having to do anything! All 50 states are available! Note: As with all mapping apps, continued use of GPS running in the background can dramatically decrease battery life.